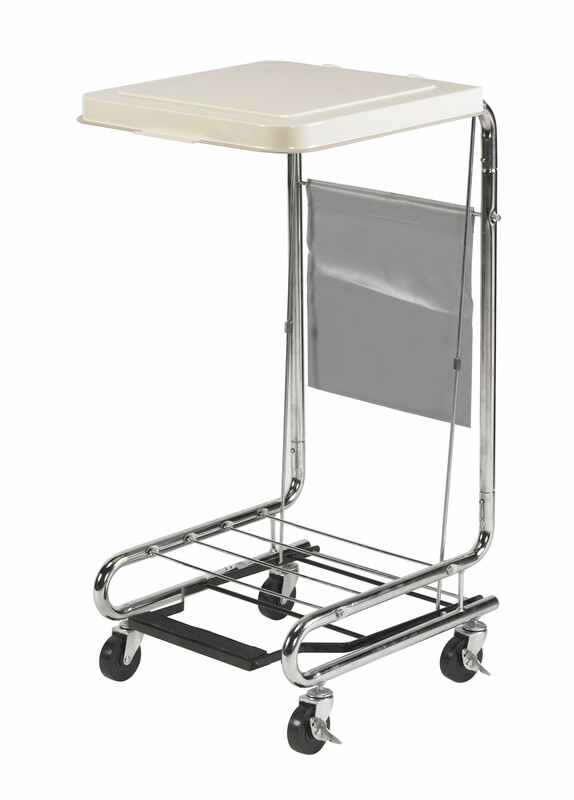 The Drive Medical Hamper Stand with Poly Coated Steel Lid features a durable white lid that measures 18 x 19 inch and is easily raised and lowered using a non-slip pedal. 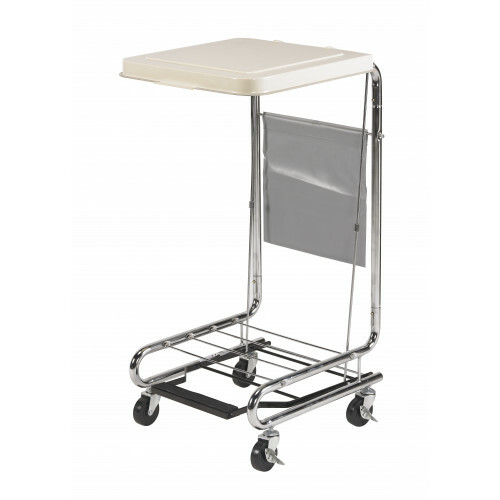 It features 3 inch locking casters that allow it to be easily transported from room to room. The Drive 13070 Hamper Stand with Wheels has a support capability for 36 to 42 gallon bags. It has a stylish chrome-plated steel frame that is easy-to-clean and maintain. I just like this hamper stand because of its simple structure. It is a plain stand and looks really good. Along with the good design, it is a useful hamper stand. It can be moved anywhere and also have adjustable base with help the pedal provided.